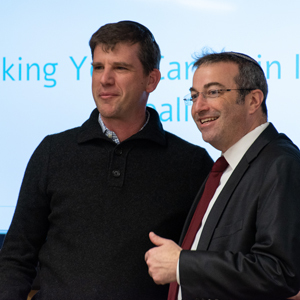 On Tuesday, February 5, 2019, venture capitalist Michael Eisenberg ’89YUHS, ’93YC, partner in Aleph VC based in Israel, made a pitch to over 60 YU students to start both their careers and their lives in Israel. 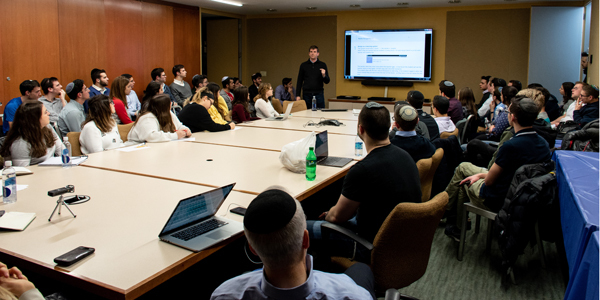 Titled “Making Your Career in Israel a Reality” and sponsored by the YU Career Center, Eisenberg made a case for why building a professional career in Israel and making aliyah [living in Israel] was a good proposition for YU students to consider. Companies in Israel, he stated, are eager to bring workers on board because the talent pool in Israel is not large enough to satisfy the employment needs of major companies like Wix, WalkMe, SimilarWeb and Lightworks. This urgent need offers excellent opportunities for people across a range of vocations, such as computer programming, financial management and sales and promotion. 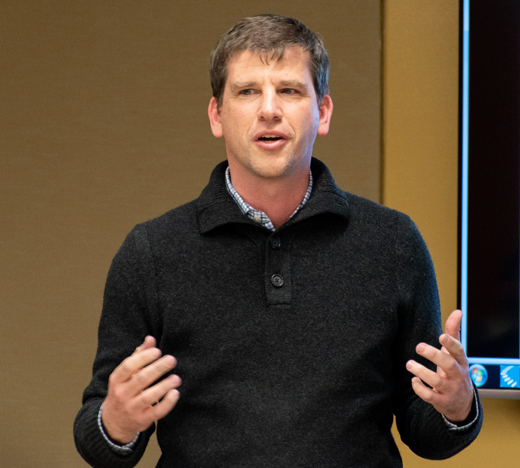 To strengthen his point, Eisenberg worked through slides that showed each company’s hiring processes, giving the students advice about how to make successful bids to work at each of them. He also pointed out that there were deep resources, both private and public, to help ease their transition from the United States to Israel, including navigating the visa process and finding living accommodations. 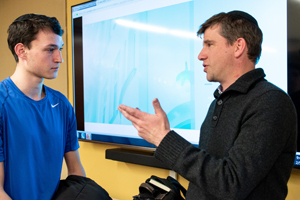 After his formal presentation, Eisenberg met one-on-one with seniors and some juniors to discuss individual concerns and questions.